Happy Friday, everyone. I hope you had a very blessed Thanksgiving. We have much to be thankful for, don't we? 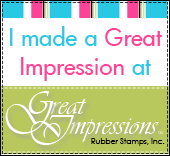 I'm posting today on the Creative Inspirations Paint blog. I'm posting a project that my loyal followers may have seen before, but it hasn't been on the CIP blog before. I used the same Joy's Life stamp set, "It's All Fall Puns" on this side of the wheelbarrow, too. The designer papers are Echo Park 6x6 Reflections Fall. 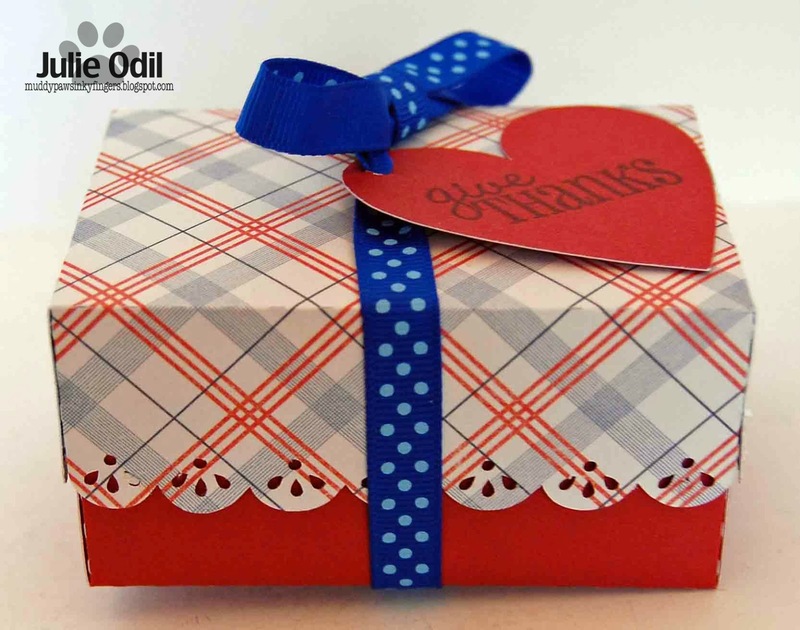 The base is Close To My Heart Kraft cardstock. 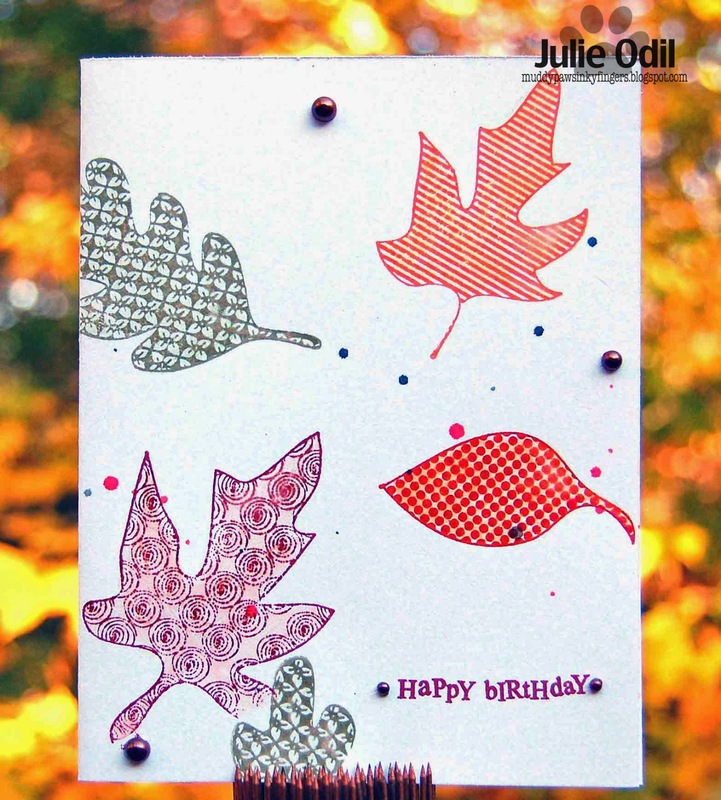 The leaves are CTMH Colonial White cardstock. They are a Tim Holtz die. I painted them with Creative Inspirations Paint to give them those beautiful Fall colors and shine. 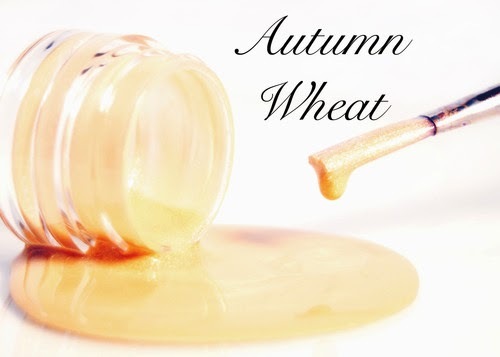 I used a variety of different Creative Inspirations Paints on the leaves -- Burnt Clay (on sale), Autumn Wheat, Sunshine, and Pumpkin (on sale). My father had plenty of candy to munch on all Thanksgiving afternoon! I hope you enjoyed one more Thanksgiving project before we rush headlong into Christmas. Hang on tight, it'll be a whirlwind month! Have I got a Black Friday deal for You, my Friends With Flair Peeps! Here we are, officially launched into the Christmas shopping season. I hope my American friends had a blessed and relaxed Thanksgiving. You will find my no where NEAR a store today. No way, no how. I will not get in that mess. I don't like crowds. I'll hide in my craft room, thank you very much! I used a Unity Stamp of the Week (Holiday Joy Christmas Tree) and colored it with Copic Markers. I mounted it to a coaster that I covered with a piece of DP from Kaisercraft. The 1.5 inch striped grosgrain ribbon and the coaster are from the Sparkly Sweet Craft Notions Store. 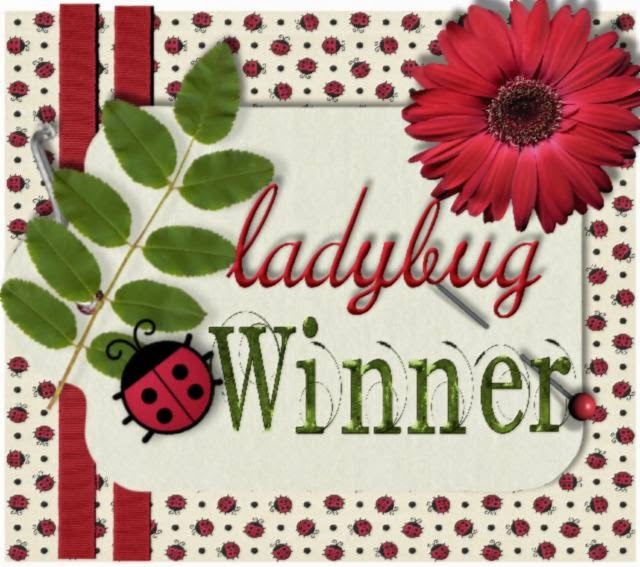 If you visited my blog last week, I offered a giveaway if I made it to 300 followers. Well, I got VERY, very close, but didn't quite get there. It's bothered me all week that I didn't just have a giveaway anyway. So this weekend, I'm having a giveaway, no matter what. I will draw a name earl next week and announce the winner of the grab bag. If I do happen to get to 300 followers, I'll add LOTS of goodies -- papers, 3 Girl JAM ribbon, Close To My Heart stamps, embellishments -- lots of fun stuff that I've been buying and saving for my 300 follower giveaway. To be eligible, please follow my blog, leave a way to contact you, and comment on this post. There's lots of inspiration on all The Unity Friends With Flair blogs. I'm off to spend time being inspired. Have a great weekend, everyone! Shop on! Hello, everyone. 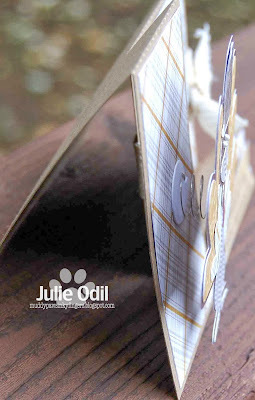 There's a new challenge starting today on the 3 Girl JAM blog, and I made a fun little treat bag for the challenge. I seem to need lots of goody bags throughout the holiday season, so I'm trying to get a few made up ahead. This one's ready to go! The cutting file I used for this is from The Cutting Café. It's a Christmas Tree Goody Bag Holder. The paper is from My Mind's Eye. And, the ribbon, of course, is the jute ribbon on sale in the 3 Girl JAM store. I love this jute ribbon! OK, now it's your turn to make a holiday project and link up! I'd love to see what you create!! Happy Thanksgiving, everyone! I'm posting today on the 3 Girl JAM blog. Since I'm lucky enough to post on Thanksgiving, I knew I had to have some Thanksgiving inspiration for the holiday. I went searching through the Silhouette online store and found this fun cutting file, perfect for the occasion. 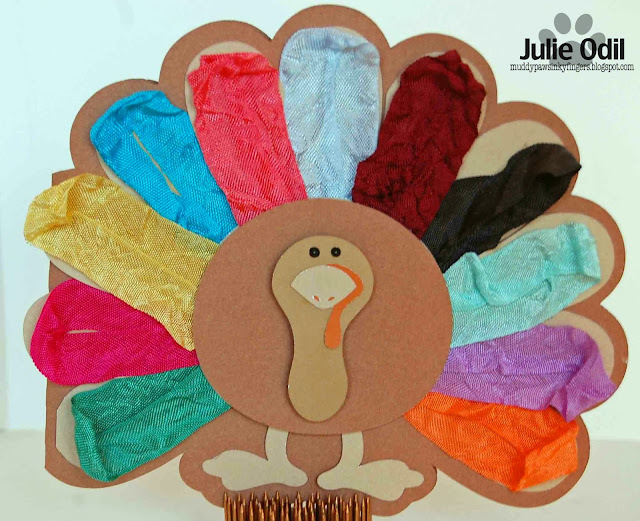 I used lots of different ribbons on this colorful turkey -- as you can tell! Working from right to left, I used Harvest Orange (Harvest Bundle)Witches Brew purple (Spooky Bundle), Baby Blue (Baby Bundle), Hot Chocolate (Hot & Cold Bundle), Merlot (Wine & Jewels Bundle), Aqua Splash (Caribbean Splash Bundle), Coral Crush (Caribbean Splash Bundle), Ice Blue (Hot and cold Bundle), Iris (Spring Flowers Bundle), Cherry Lipstick (Pink & White Bundle) and London Blue (Wine & Jewels bundle). I cut this turkey shaped card out on my Silhouette, used Close To My Heart Kraft cardstock for the base, more CTMH cardstock for the rest of the paper, and a Viva Décor Anthracite Pearl pen for the eyes. This turkey, and myself, are sending you the best of Thanksgiving wishes! Is it still hump day when the work week is so short? Happy Wednesday, my friends. I'm posting today on the Get Inky! Stamps blog. There's a new challenge underway, and the theme is Onward & Upward. 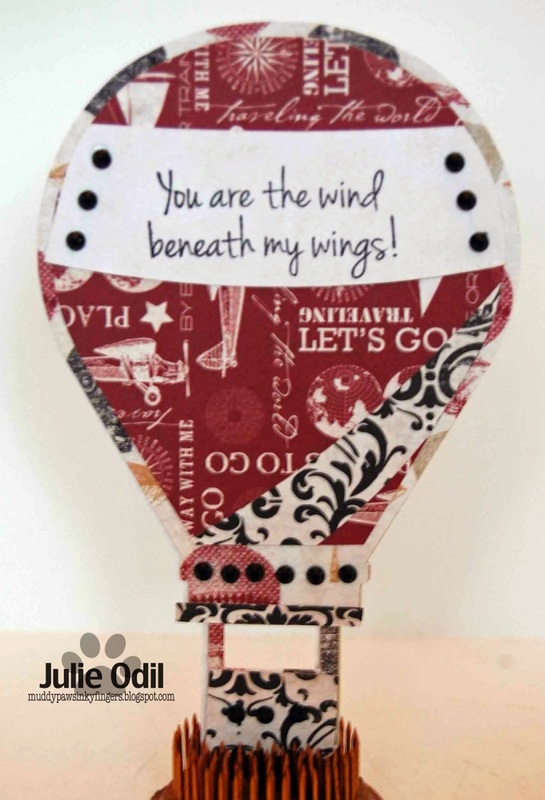 I made a hot air balloon card using my Silhouette earlier this summer, and I thought the shape would be perfect for this challenge. So, I looked through my computer folders until I found it, and made another balloon shaped card for this challenge. This cutting file is from The Cutting Café. The stamp set I used on this card is the Get Inky! Stamps Love Bugs set. I used Carta Bella World Traveller 12x12 papers, and some bling from my stash. 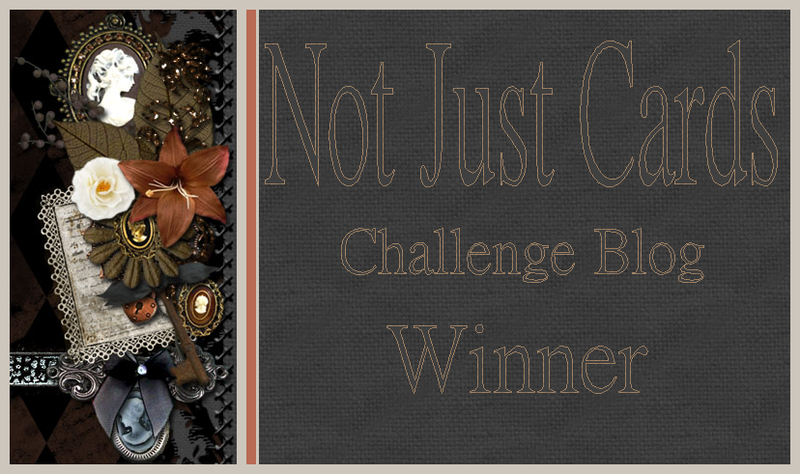 Come join the Onward & Upward Challenge at the Get Inky Challenge blog. I'd love to see what you create with this theme! And Happy Thanksgiving to my American friends! Isn't this a fabulous shaped teapot? I just love it, and hope my father-in-law will, too. I used some papers from Close To My Heart that I thought didn't look too feminine. My FIL likes art from the SW US, and the patterns and colors of this paper remind me of some of the art he collects. The paper is called Sarita. The wood and embossed metal embellishments are part of the Sarita Assortment, also from Close To My Heart. The 'steam' rising on the spout is a Close To My Heart Sparkle Flourish -- Small. 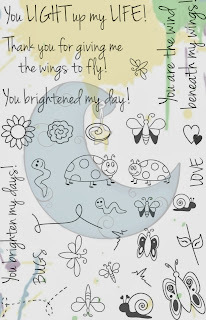 I used a stamp from Unity Stamp Company, "Everything Wonderful" Sentiment Kit. The sentiment is stamped, then fussy cut, then glued on a wooden shape to give it more dimension. The wood veneer tag is also from Unity. The 2 ribbons are from 3 Girl JAM. I wove them together, tying them in a double bow. I used Harvest Orange and Royal Purple, finding them a perfect match for the Sarita paper. Don't forget to visit The Cutting Café blog on Thursday to see what the rest of the design team created. Leave a comment for a chance to win 3 sets of your choice. Yea!! And Happy Thanksgiving, my American friends. Holiday Wishes for Pinque Peacock and Friends With Flair and a giveaway! It's a cold, snowy Friday here in NW Wisconsin -- perfect for thinking about the upcoming holidays. 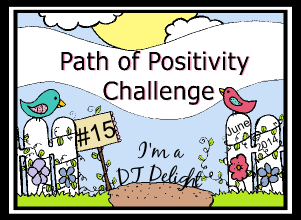 I'm posting today on the Pinque Peacock blog. I wanted to feature the new, fun 3/4 inch fabric covered Christmas themed buttons, so I went hunting for something I could cut out on my Silhouette. I found the perfect shaped card at the Cutting Café. 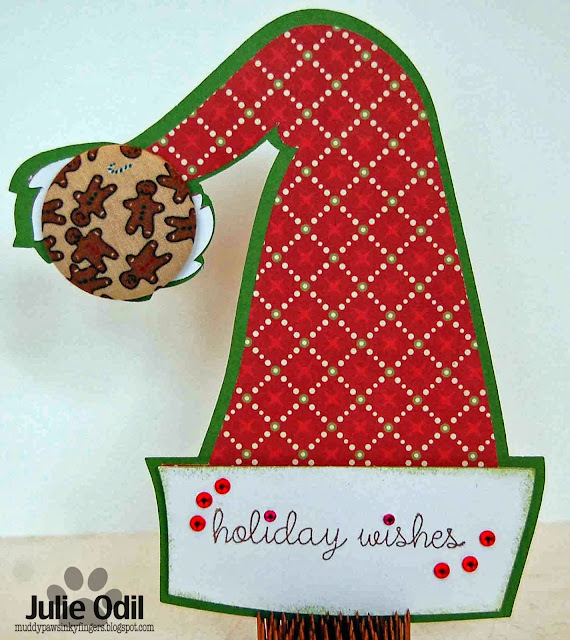 This Santa hat shaped card seemed like a great way to showcase the gingerbread men fabric button. Who needs a pom pom when you can have a fancy schmancy button from The Pinque Peacock instead? Because it's Friday, and I want to participate in Unity's Friends With Flair, I used a Unity sentiment on the Santa hat. The sentiment is from the Oct. 2012 Kit of the Month. The designer papers are Echo Park Christmas This & That. The bling is from my stash. I see I am very close to 300 followers. 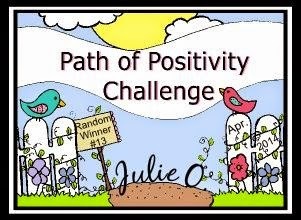 If I hit the 300 mark with this FWF/PP post, I will pick a winner and send a VERY big prize package, including a Unity Stamp grab bag, some Pinque Peacock products, a Close To My Heart Stamp Set, and some 3 Girl JAM ribbon. Yeah, good stuff! I've been buying and saving goodies for quite some time for this. So, if you don't already follow my blog, please do! Then, leave a comment on this post. I'd love to hit 300 and have a drawing for my Pinque Peacock/Unity peeps. Yeah! that would make me happy! Don't forget to visit The Pinque Peacock blog every day for great inspiration, and visit all the other talented FWF peeps for tons of wonderful ideas! Oh my, Thanksgiving is one week from today! Are you ready? 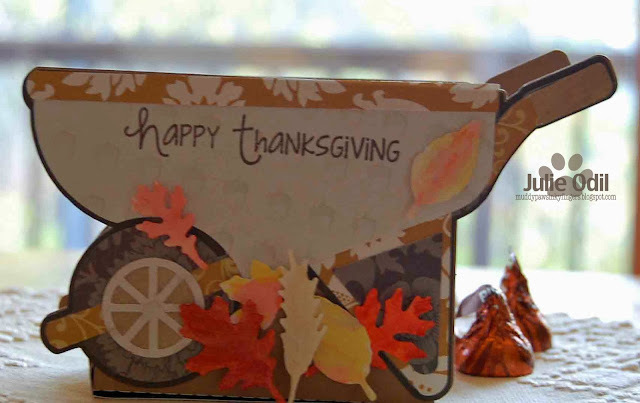 The Cutting Cafe design team is in full Thanksgiving mode today, posting projects with a thankful theme. Well, nothing says Thanksgiving like turkey! 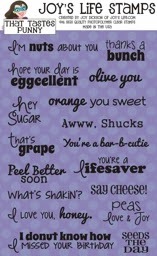 This super fun cutting file can be found here in the Cutting Café store. This turkey shaped card is BIG. His wing span is about 6 1/2 inches. But don't worry -- he also comes with a matching envelope cutting file! I used Kraft card stock for the base of this card, then a layer of Close To My Heart Chocolate card stock, then layered on Little Yellow Bicycle Acorn Hollow 6x6 papers. The "give Thanks" sentiment is a Joy's Life stamp -- from the "It's All Fall Puns" set. You can find it in the Joy's Life Store here. I used two Viva Décor pearl pens for the finishing touches on this turkey -- an anthracite pearl pen on the eyes, and a white pearl pen on the body and feathers. I'm getting very close to 300 followers. If I get that number this week, I'll have a drawing using this post. I've been buying goodies and saving them for quite awhile, hoping to hit the 300 follower mark. If you don't already follow my blog, I'd love it if you do. Then, leave a comment on this post. 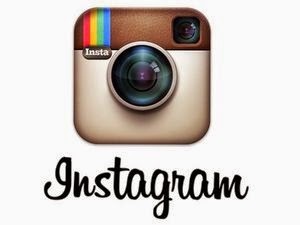 To increase your chances to win, comment on the other posts this week. I used my Silhouette to make this card, finding the cutting file in the Silhouette Online Store here. I thought the ribbon worked perfect on this Autumn-themed card. You will find this 1/4 inch orange chevron ribbon by May Arts in the Sparkly Sweet Craft Notions Store. I used Echo Park This & That card stock to make this card. Again, I would like to thank Beckie for the wonderful opportunity to guest design for her. I have loved the experience! I started with a white cardstock base. I used some Studio Calico mists to add some color splatters to the stark white. Then, I stamped the Unity Stamp Co leaf stamps from the "Grateful Hearts" stamp set randomly on the paper. I used Close To My Heart inks in Olive, Barn Red, Autumn Terracotta, and Goldrush. The sentiment, from Close To My Heart, is stamped in Barn Red ink. I then chose paint colors that I thought would compliment the inks, and painted the leaves, using it more like a wash, just to get the shimmer. 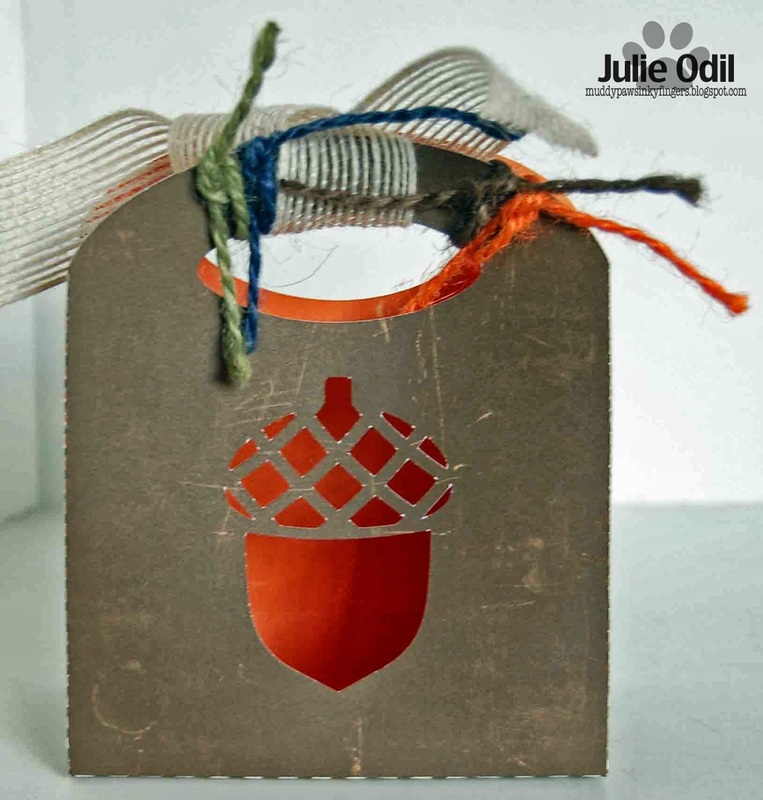 I used Creative Inspirations Paint in Rustic Red (on sale! ), Green Olive, Pumpkin (on sale! ), and Burnt Clay (on sale!). I placed a few sparkles from my stash on the card, too, to add a little bling. This card was one of my husband's birthday cards last month. He loved it! 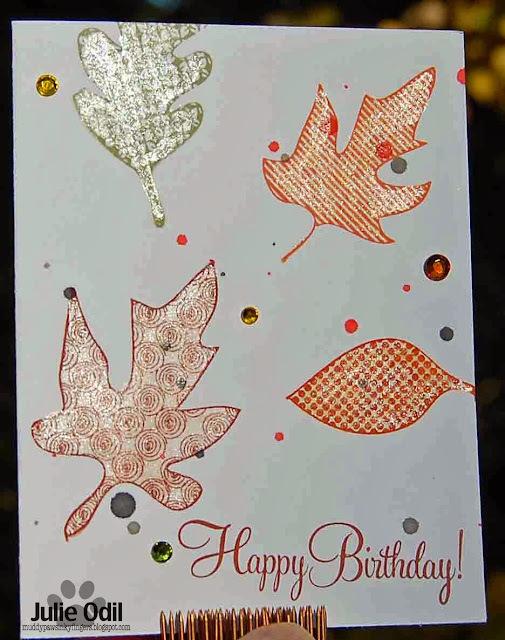 I used the exact same technique on this card, only stamping the random leaves a little differently, and using pearls instead of rhinestones. Don't you love the leaves in the background? That was our backyard about a month ago. All the leaves are gone now. :( Winter's coming. I LOVE this paint! If you haven't tried it yet, you need to treat yourself. With the sale colors, now's the perfect time! Hello, blog friends. I'm posting today for Joy's Life design team. Our theme this week is "Ho, Ho, Ho". So, it's time to jump into Christmas, and I did with this card -- of Santa, set to jump down the chimney. The card is a square 5x5. 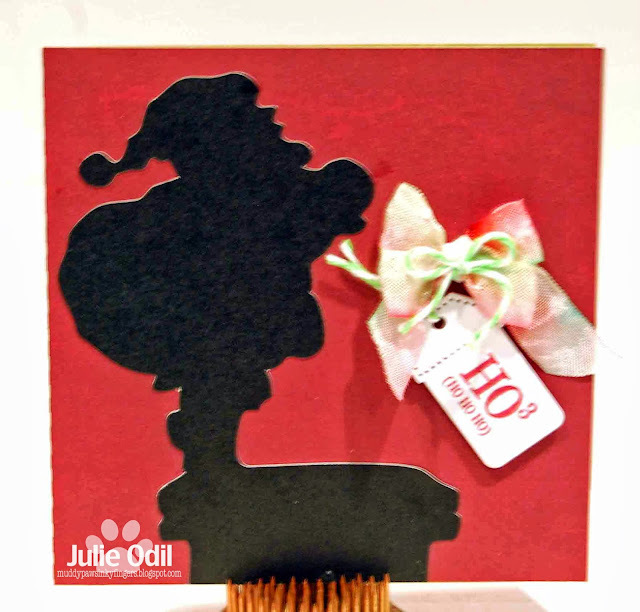 This Santa silhouette is in the Silhouette Online Store. 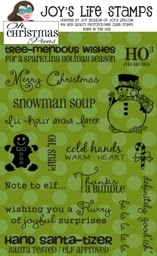 I found the perfect sentiment for Santa's plunge on the Joy's Life stamp set "Oh Christmas Puns". Here's a close up of the sentiment, ribbon, and twine. 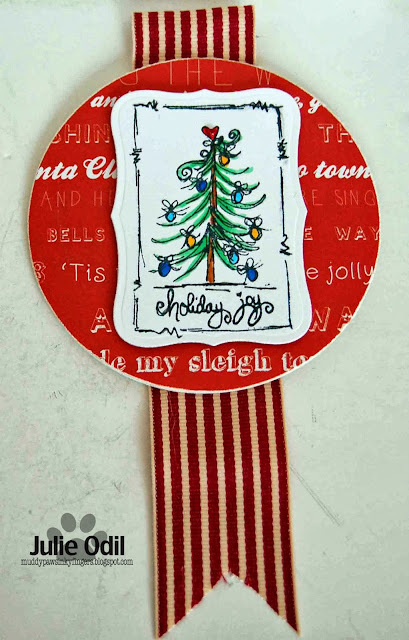 The crinkle ribbon is from 3 Girl JAM -- The Seasons Bundle. The twine is from The Twinery. I used a Spellbinders die for the tag. There! One Christmas card done! I cut the gift card holder out on my Silhouette, and used the Get Inky! Stamps Holiday 2013 stamp set to stamp the sentiment. You can find it in the Etsy shop. The gift card holder can be found in the Silhouette Online Store here. I think this will be the perfect holiday gift for the teachers, staff members, Sunday school teachers, beauticians, and Postal workers in my life. That's all for me, I've got more gift cards to make and stamp! Create your own "Thanks and Thanksgiving" project and join the challenge! I'd love to see what you make! Its Friday, the middle of the month, and Friends with Flair! Here we are, smack dab in the middle of November. It's been so cold this week that if I didn't have a calendar in front of me I'd think it's December or even January. Just a prelude of what's to come! I so love Fridays and linking up to Unity's Friends With Flair. And I love spending time throughout my weekend visiting all of the blogs that are linked up. Such talent and inspiration! Oh, what fun! There's a story that goes with today's card. One of my staff members has had an aging dog that she knew wouldn't make it much longer. Well, last Sunday was Eddie's day to cross to the Rainbow Bridge. She called me Sunday evening, too distraught to come to work on Monday, needing one more day to mourn his loss before facing everyone. 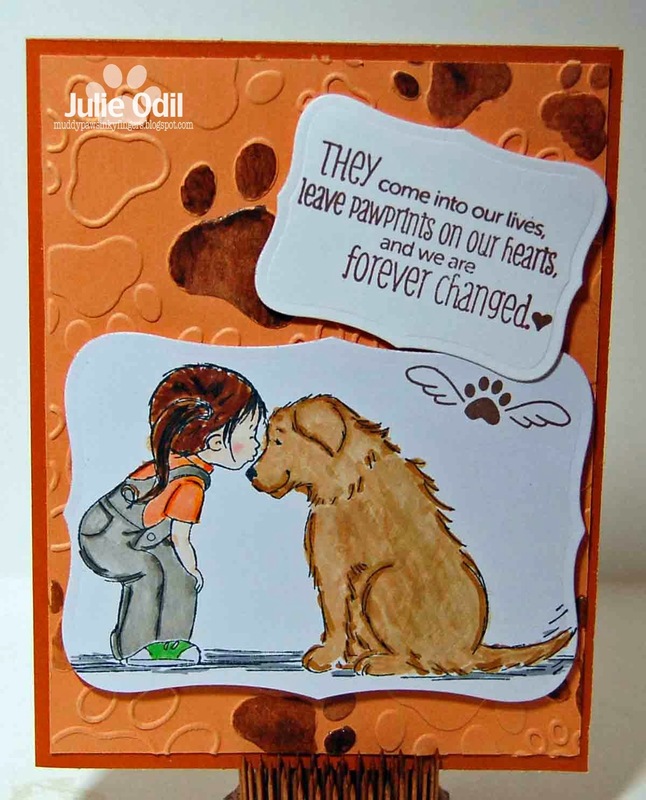 I used a new Darice embossing folder to get the paw print background, then painted some of them with Chocolate Creative Inspirations Paint. This was the first Phyllis Harris stamp I ever bought, and it's still my favorite. You'll find it in the Unity Store here. It's called "First Love". I colored the image with Copic markers. The sentiment is from a Market Street Stamp set. It's also one of my favorites, and my "go to" quote for situations like this one. The paw with wings stamp is part of the MSS set. 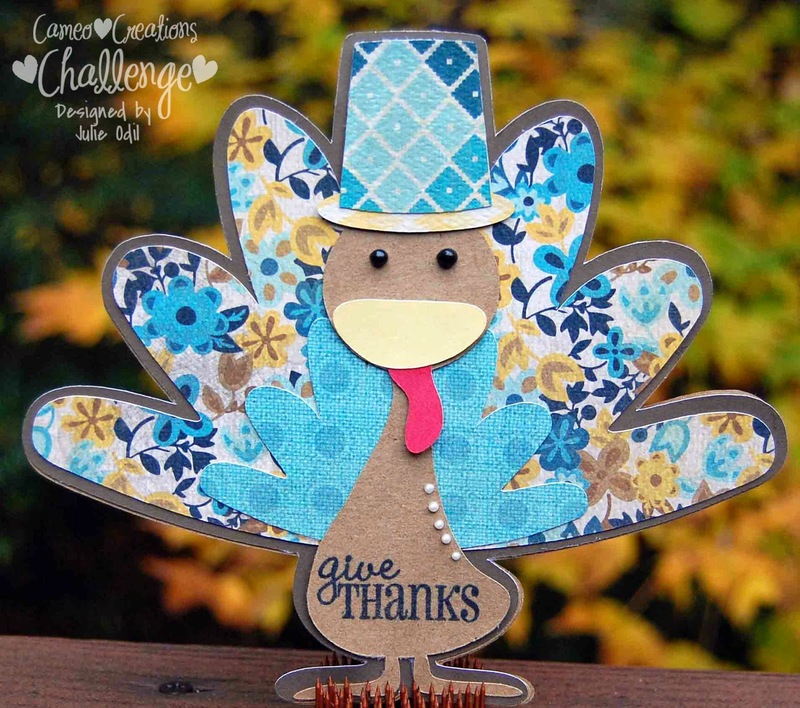 A New Challenge at Cameo Creations -- Thanksgiving! Happy Thursday, everyone. 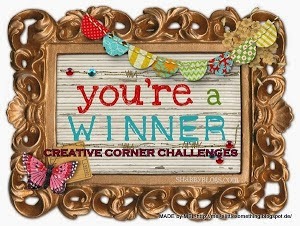 Today starts a new challenge on the Cameo Creations Challenge blog. The theme for the next 2 weeks is "Thanksgiving". One can not help but think of turkey with a theme like that, so guess what I made? You guessed it! It's a turkey shaped card. I found this cutting file at The Cutting Café. You'll find it here. Adorable, isn't it? The sentiment on his belly is a Joy's Life stamp from the "It's All Fall Puns" stamp set. All plain card stock is from Close To My Heart. The designer papers are My Mind's Eye. Viva Décor pearl pens were used on the eyes and body. 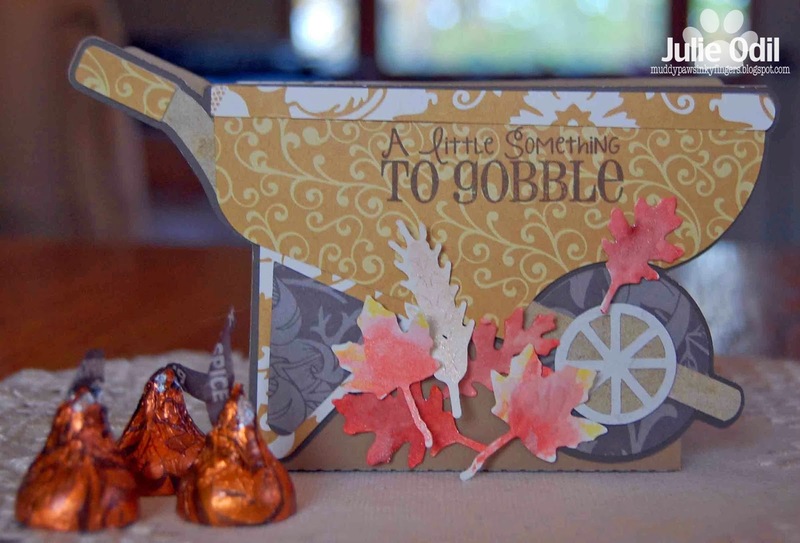 Make your own Thanksgiving-themed project, and come link up with us at Cameo Creations Challenge blog. We've got great sponsors! I found this acorn cutting file in the Silhouette Online Store. It is a Lori Whitlock file. I tied 3 Girl JAM jute string and ribbon on both bags. 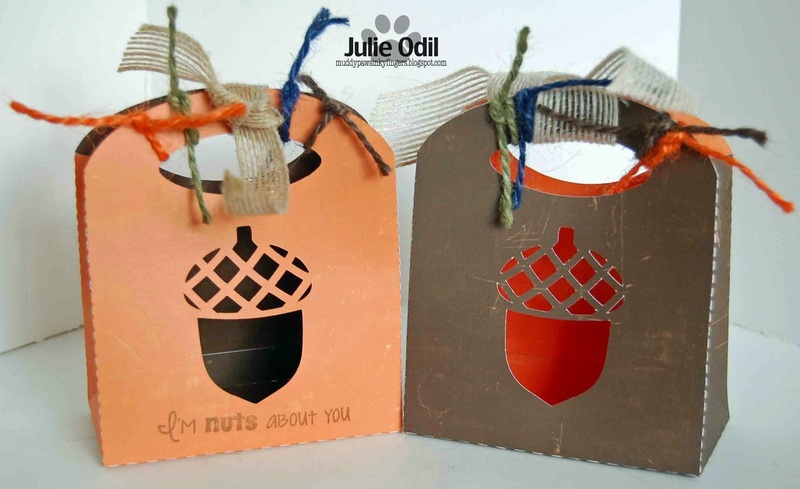 These jute strings and ribbon are the perfect colors for Fall projects! The paper is from Echo Park. I used Joy's Life stamp set, "That Tastes Punny" for the sentiment. And that's it for today! Thanks for the visit! I used the Joy's Life stamp set "That Tastes Punny" on this treat bag. I thought it was the perfect sentiment for this die cut acorn. I found this bag in the Silhouette Online Store. It's a Lori Whitlock design. I tied a variety of jute ribbon and string from 3 Girl JAM on the handles. The paper is Echo Park 2-colored card stock. I hope you enjoyed today's yummy treat bag. I had a great time making it! Only 2 weeks until Thanksgiving? Where is this month going? I'm combining my Cutting Café project today with my second guest designing post for Sparkly Sweet Craft Notions. The wonderful ribbon worked brilliantly with the step card, so it was a perfect fit. The entire Cutting Café design team is making step cards this week. I can't wait to see what everyone else has done. Check out The Cutting Café blog later today or Thursday -- you'll be amazed! And, leave a comment for a chance to win 3 sets of your own. There's a lot going on with this card, so I'll start with the fun ribbon. This is 3/4 " woven twill from the Sparkly Sweet Craft Notion Store. This side step card from The Cutting Café was very fun to put together. 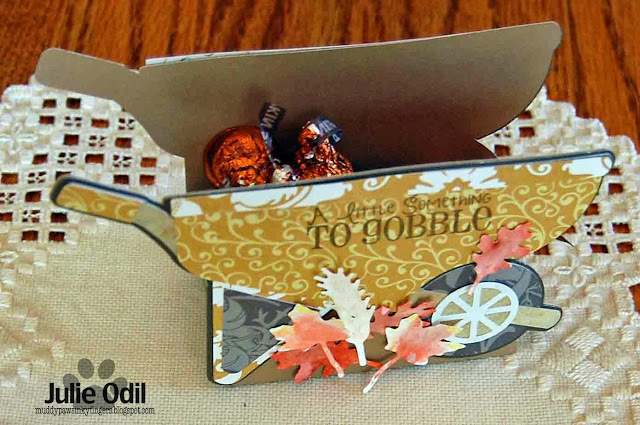 The turkey is part of the turkey shaped card cutting file, and the "Give Thanks" sentiment and frame are from the "Autumn Days" Printable Stamp set. The "Gobble 'Til You Wobble" sentiment is a Unity stamp. Now, for the "surprise. The turkey is on an action spring, so he actually wobbles! How fun is that?!? You can see a little movement, but the camera "captured" the turkey far too well. I was hoping for a little blur, but couldn't get it. The adhesive springs are from Close To My Heart. The designer papers are Echo Park Reflections Fall. The card base is Kraft (Close To My Heart). Oh, what fun I had with THIS card! Between the wonderful ribbon to work with and the very fun cutting files, I had a BLAST! Today is Veteran's Day, and it's a big day at the nursing home. There are many Veterans where I work. Fewer and fewer of them are WWII veterans, but there still are quite a few. They are a generation where defending their country didn't feel like a choice to them, it felt like a duty. Saying thanks seems like the least we can do for our veterans. They have given so much for our freedom. My father is a veteran, and will be at the Veteran's Day Program at the nursing home today. Sometime during the day, I'm going to slip him this little treat box, just so he knows I love him, and I'm thankful for him. 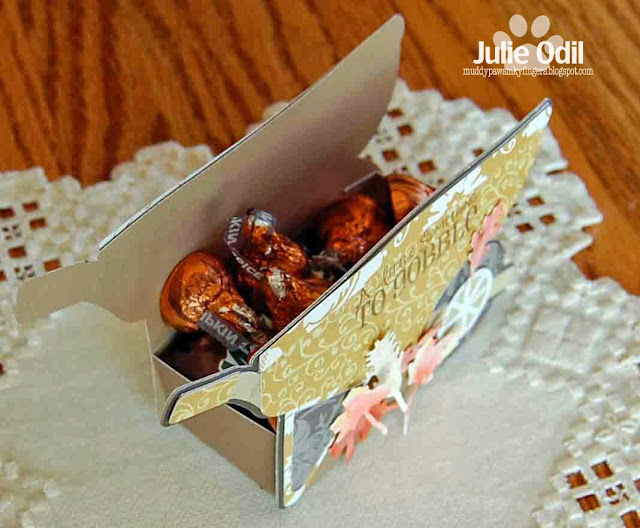 I put some of his favorite chocolates in the box. He'll be happy! 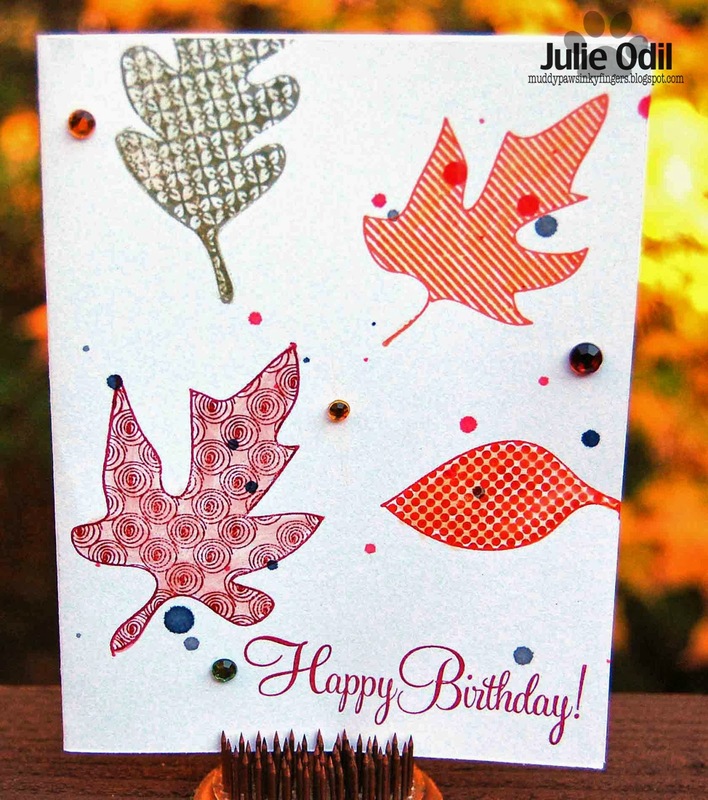 I used the Joy's Life stamp set, "It's All Fall Puns" on the sentiment. I cut this box out on my Silhouette. I found the file in the Silhouette Online Store. Here's another view of the box. Here's a link to the cutting file, if you're interested. The designer paper is My Mind's Eye, American Made 12x12. The ribbon is from Really Reasonable Ribbon. Congrats, Jess! Send me you address so I can send you your winnings! Don't forget to thank a Veteran today -- and everyday. It's Here! 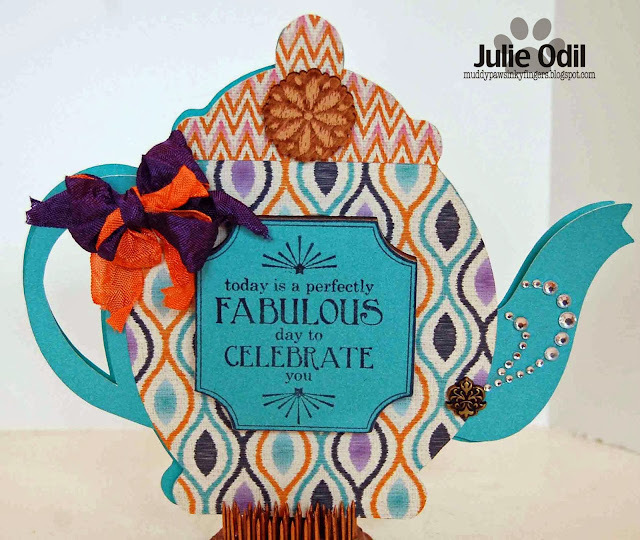 The On The Table Blog Hop for Joy's Life! 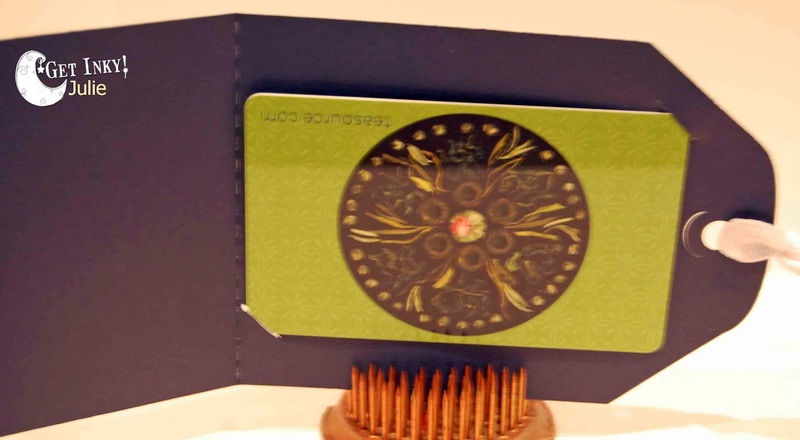 If you are looking for the Pinque Peacock "Holidays Are Upon Us" Blog Hop, please click HERE, or scroll down 2 posts. Laura -- go here next! We have a very casual Thanksgiving. My husband and I join my father for his Thanksgiving dinner in the assisted living facility where he lives for the noon meal. Then, depending on my sister-in-law's schedule, we either join my in-laws for another Thanksgiving dinner on Thursday evening or we get together on the following Saturday to celebrate. I'm still not sure what the plans are for the in-laws this year, but I know we'll be joining my father. With that in mind, I wanted something casual to bring to the table to decorate his place setting on Thanksgiving. I used the same Joy's Life stamp set, "It's All Fall Puns" on this side of the wheelbarrow, too. 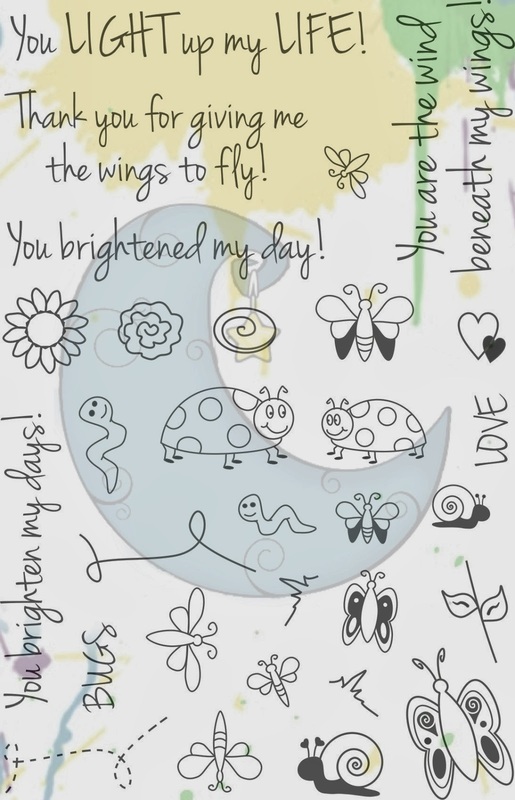 You can find this adorable stamp set, and all of Joy's wonderful sets, along with some great stamp bundles with free shipping in her store. The designer papers are Echo Park 6x6 Reflections Fall. The base is Close To My Heart Kraft cardstock. 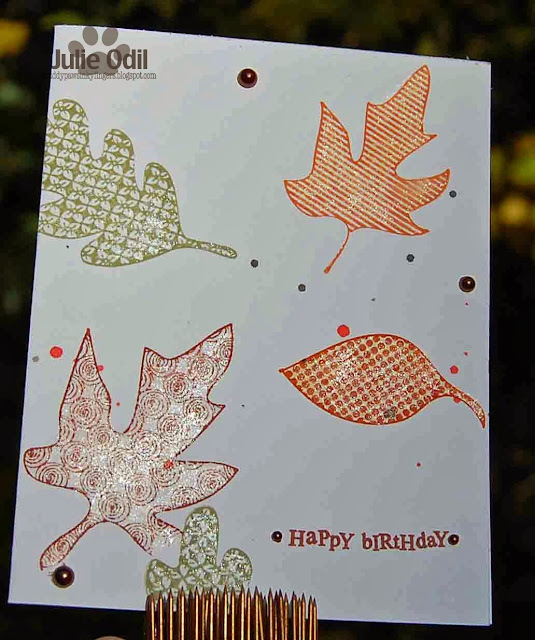 The leaves are CTMH Colonial White cardstock. They are a Tim Holtz die. I painted them with Creative Inspirations Paint to give them those beautiful Fall colors and shine. My father will have plenty of candy to munch on all Thanksgiving afternoon! Now, speaking of candy, how about some blog candy? First, I have unclaimed winnings from last month's hop. Teresa K., you are the winner. Please let me know how to send you your goodies. 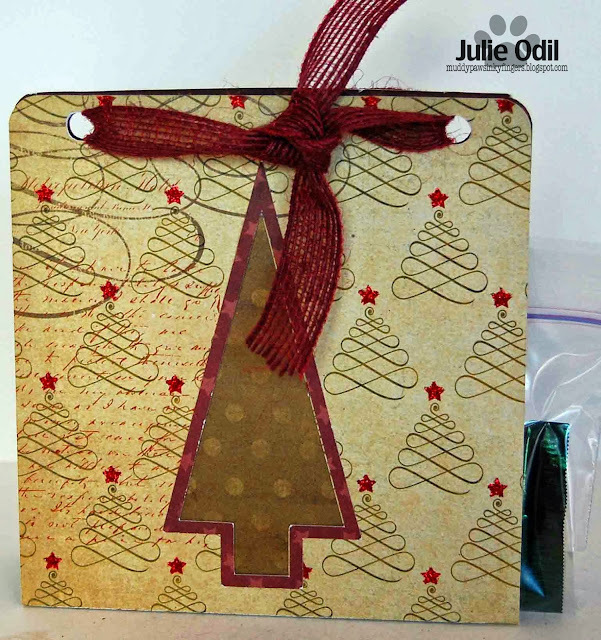 I have more blog candy for this month's hop -- a 6x6 pad of paper, some bling, brads, ribbon, and stamps. To be eligible to win, please follow my blog and leave a comment on this post. I will announce the winner with my Joy's Life post on Monday, Nov. 11. 1. 1/2 c. wild rice & 3/4 c. water. Bring to a boil -- strain. Do this 2 times. 3. Bring to a boil, simmer 40 min. If you are looking for the "Holidays Are Upon Us" Pinque Peacock Blog Hop, Please click HERE, or just scroll down. I decided to make something for Thanksgiving. I often feel it is so overlooked, and I'm not quite ready to launch into Christmas yet. I found this adorable card that I could make on my silhouette and thought it would be perfect! 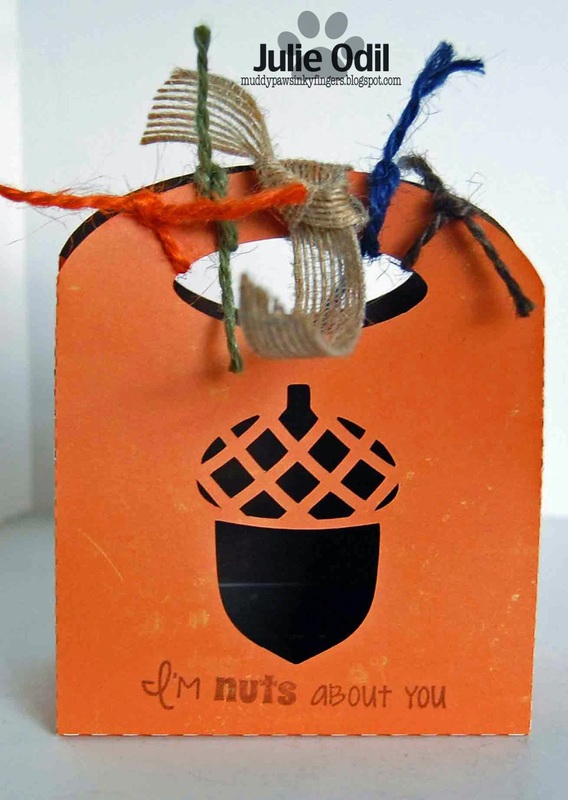 The card is a cutting file from The Cutting café called Pumpkin Trio. I used paper from an old 6x6 paper pack I had never used -- a Samantha Walker Orchard Harvest pad. The base is Close To My Heart 12x12 cardstock in Topiary. The bling is from Close To My Heart. The ribbon is from 3 Girl JAM. It is Sunflower ribbon from the Harvest Bundle. 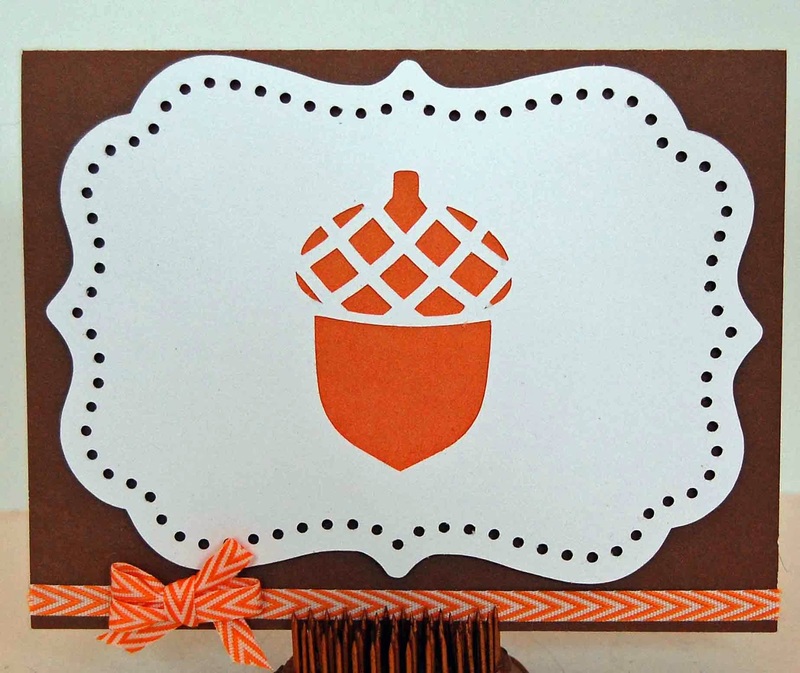 The sentiment, "Give thanks" is from the Joy's Life stamp set, "It's All Fall Puns". 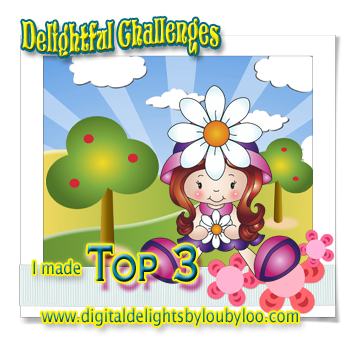 Make any holiday project on your Silhouette, and link up with us at Silhouette Challenges.